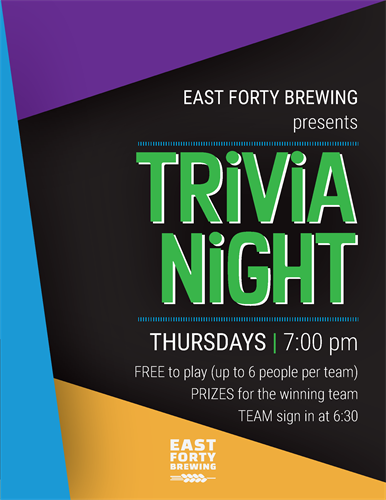 Gather some buds and come try your brains at our FREE trivia night. Teams of up to six players should check in at 6:30 PM for a 7:00 PM sharp start. Winning team will be awarded with an awesome EFB Prize! We'll track scores each week of our 'mini-series' and champions will be enshrined on the walls FOREVER.